Homework can be very challenging, especially for high-energy kids who have a hard time sitting still at school, much less at home. 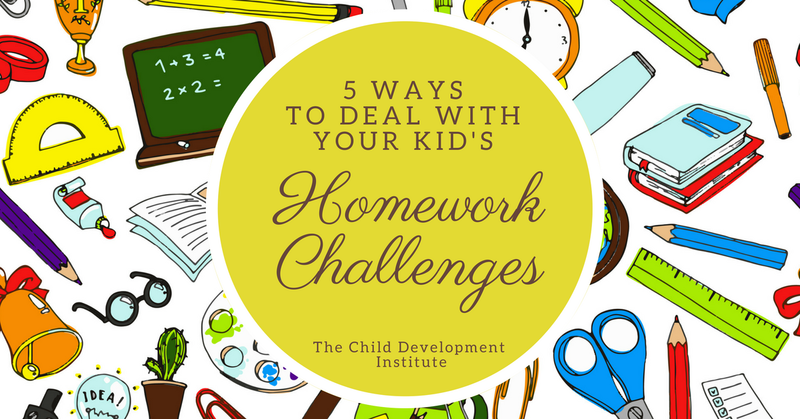 As a parent, you may find yourself at a loss as to how you can help your kids cope with their homework challenges. Here are some tips that may help. Your kids need to understand that getting their homework done is important. One way to do this is to have designated “homework time.” This kind of routine can be very helpful for kids, and also establishes homework as an important task with its own allotted time. Having a designated homework time also gives you more flexibility. This may seem contradictory, but you and your child get to decide how many hours are needed and what time of day homework time can happen. Letting your child help you decide can also be motivational – it makes it less about the parent telling the child what to do and more about the child working with the parent to solve a problem. Another tip about the scheduling – consider setting aside “academic time” rather than just “homework time.” For example, if your child knows they have to spend an hour doing something learning-related, they will probably be less likely to hurry carelessly through a homework assignment just to get it done. Your child will understand that if they finish their homework early, they must find something else school or learning-related to do. Make it a practice to look over your kids’ homework assignments. You don’t have to nitpick, but just see that the homework is completed and that there are no glaringly obvious errors. 3. Get to Know the Teacher. Try to find out your child’s teacher’s expectations regarding homework so that you can help your child reach those specific goals. It’s often surprising how much teachers differ in their homework expectations. Homework/academic time should be free from noisy distractions if at all possible. Don’t settle down with homework assignments near the telephone, television, or computer, for instance (unless the homework assignment requires the computer). Some music is okay, especially if it helps filter out more distractions, such as loud siblings. Just make sure the music is not distracting itself. Choose a special place for homework. Your child may come to look forward to settling down in cozy, customized area of the house. Again guarding against distractions, you can set up the area to have snacks, drinks (even a mini fridge), comfy chairs or cushions, a special desk or table, and so forth.